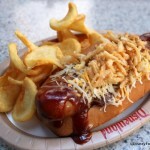 So, let’s say you’re in Disney California Adventure for the Summer of Heroes celebration (running now through September 10th), and you need some fueling up STAT. Well, you’ve only got about a bajillion options (and we’ll be taking a look at lots and LOTS of them soon!). 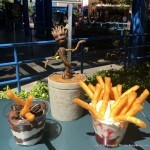 You could choose a Spider Bite Doughnut at Schmoozies or pop over to Award Wieners for a variety of Funnel Cake Fries. But there’s something you simply have to see before you decide. 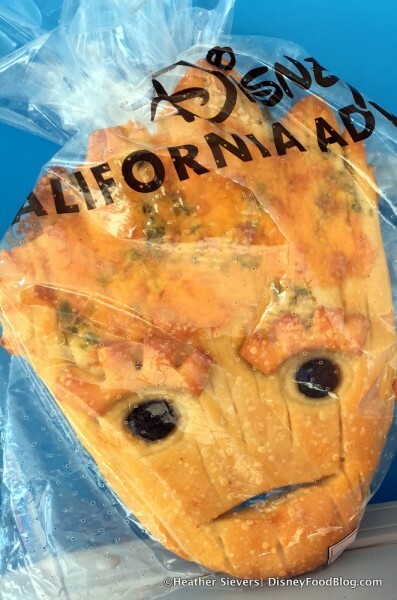 It’s Groot Bread. Otherwise known as I AM BREAD. And it’s completely stinking PERFECT. 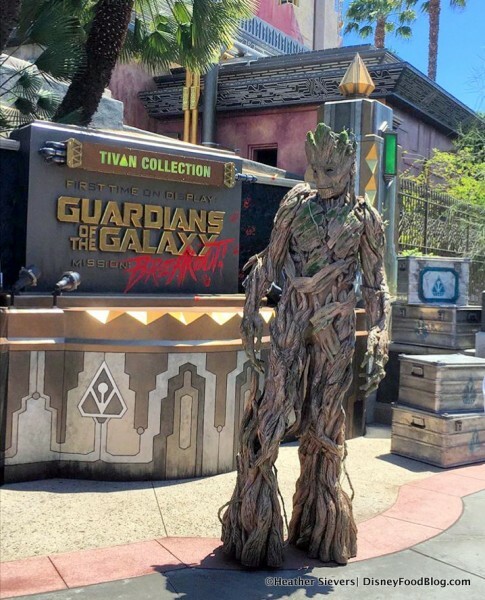 Groot Bread is Sourdough of course, and it comes in two varieties. The first, which has been found at Fairfax Market, is simply sourdough. The second, which our @DiningInDisney bud Heather Sievers found at the Cosmic Canteen, is Jalapeno Cheese Sourdough. For real, it’s UNCANNY. Groot Bread truly is a must-get for fans of the Guardians of the Galaxy plant superhero. The details — including the ridges on the character’s face, the black olives forming his eyes, and don’t even get me started on those eyebrows — are sheer awesomeness. The Summer of Heroes is in full effect, and remember — you can catch all the action until September 10th! What are you waiting for?! 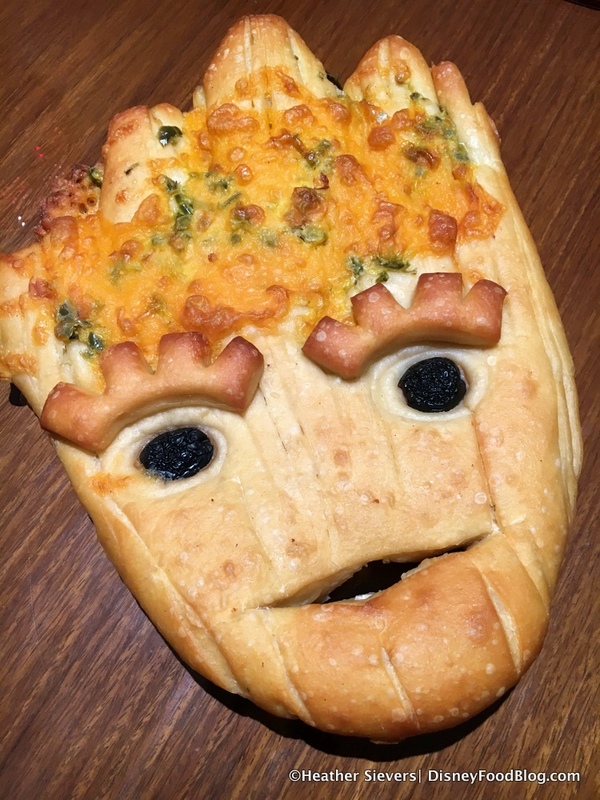 There’s Groot Bread to eat, for Pete’s sake! And it is EVERYTHING. What are you most looking forward to during the Summer of Heroes? Fill us in below! 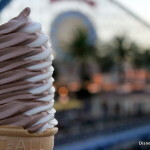 « New DFB Video: GET THIS at Magic Kingdom! It looks really good, but can you get butter with it? Then it would be very yummy! That is so awesome looking! We are going to Disneyland for the first time in a couple of weeks (WDW vets). Were the ingredients listed on the package? My husband can’t eat soy, but loves sourdough bread. Sometimes it has soy and sometimes it doesn’t. looks yummy! i’d get it for sure — even though Jalapeno is spelled wrong! So cute! 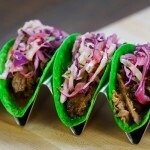 How spicy is the jalapeno version? 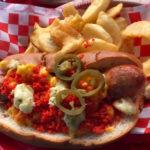 Nancy S — It has a bit of a kick, but it’s not overwhelming. 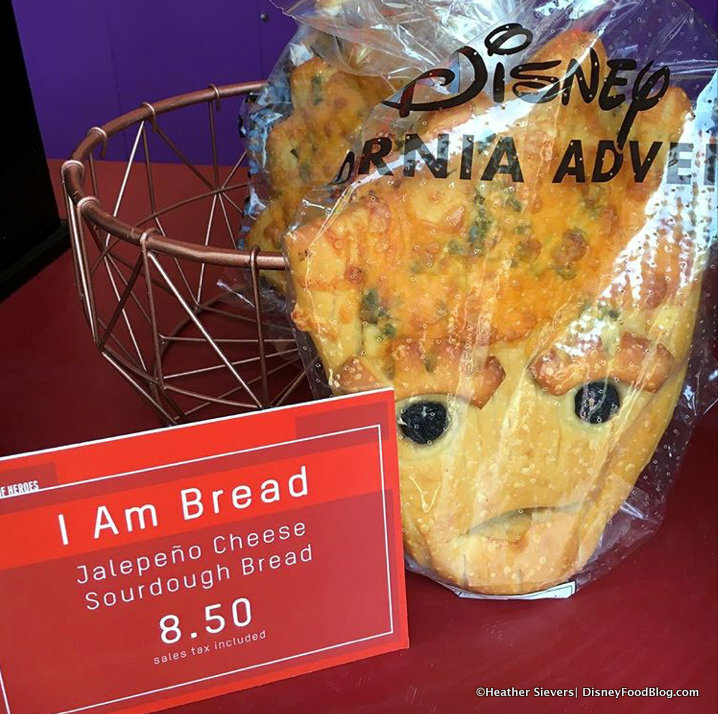 How can I order a groot jalapeño bread to be sent to my home?